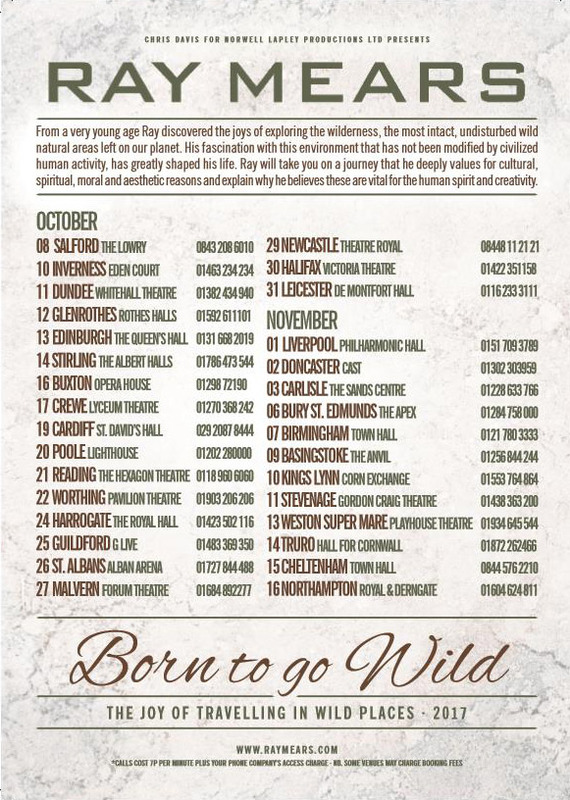 This weekend Ray commences his tour, 'Born to go Wild', in various theatres throughout England, Scotland and Wales. Tickets are selling fast, so please book your seats with your local venue without delay to ensure your chance to see his talk. 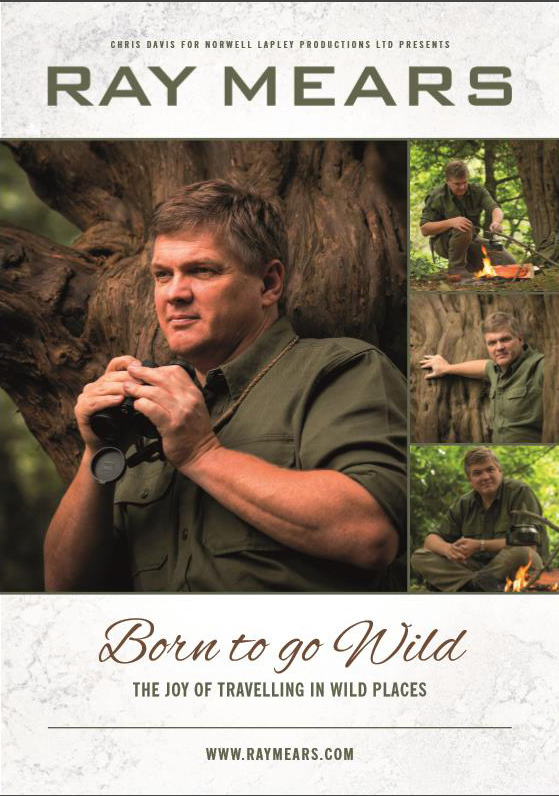 In addition to talking about the importance of fire and his recent filming expedition to Australia, Ray will also be signing books after each performance so you will have the chance to meet with him for a few moments and to ask any burning questions. 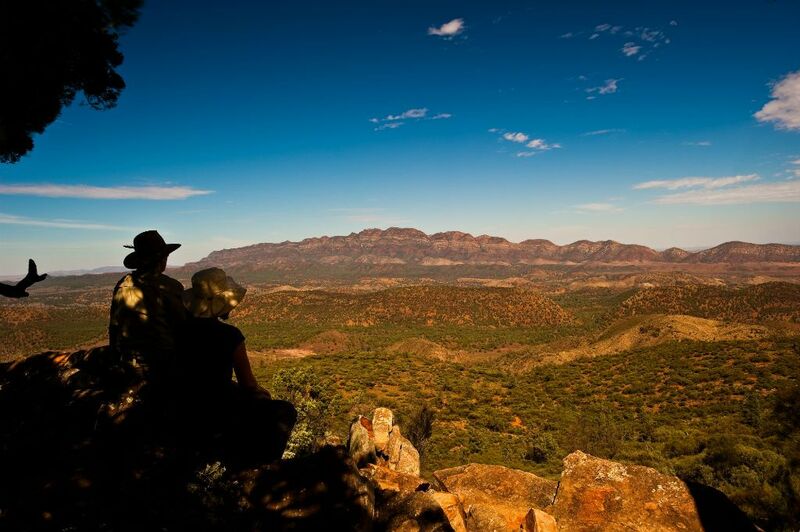 Ray's new television series, 'Australian Wilderness' is scheduled to start on Friday 13th October, on ITV1 at 8pm. In the first episode, Ray heads west to dive on Ningaloo Reef. This is the longest fringing coral reef in the world and is visible from outer space. However, the reef isn’t the only giant in these waters; Ray has a friendly encounter with a massive whale shark, the world’s biggest fish. Not as big though as a megalodon - an ancient shark the size of two double-decker buses, whose fossilized teeth Ray finds in the cliffs near the reef.